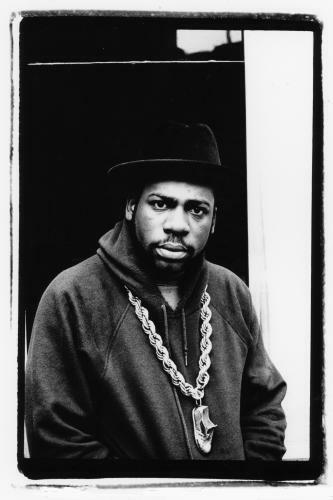 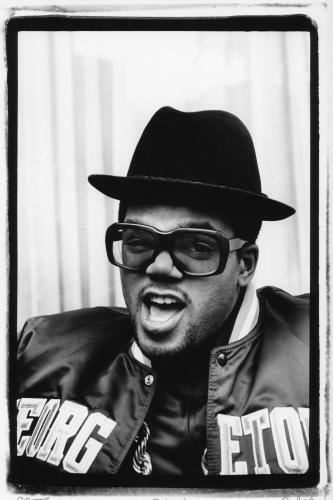 Self professed ‘Kings of Rock’ RUN D.M.C rose from the streets of Hollis Queens to the pinnacle of stardom, setting the sound and style for the next decade of rap music. 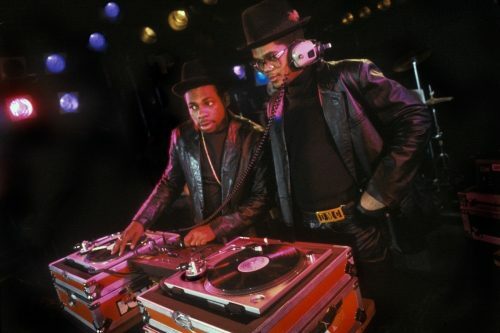 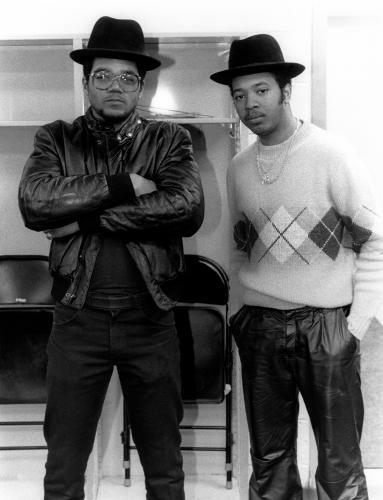 In the eighties, the trio, formed of vocalists Joseph Simmons and Darryl McDaniels, along with Jason Mizell on the turntables, smashed into the mainstream with their groundbreaking single ‘It’s Like That’. 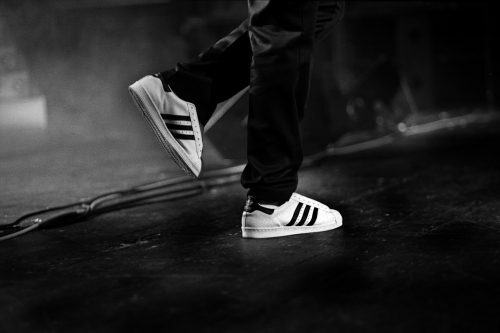 Hailed for it’s unconventional style, their daring overlapping of the rap and rock genres continued throughout their career. 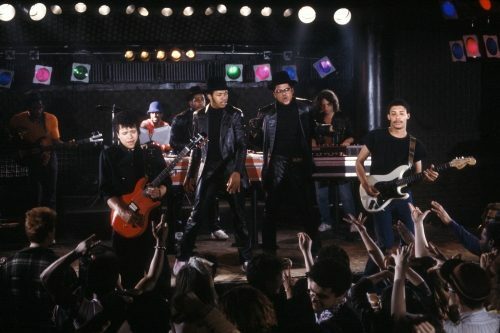 A legendary collaboration with Aerosmith covering their staple ‘Walk this Way’ in 86’ bridged the gap between the two cultures. 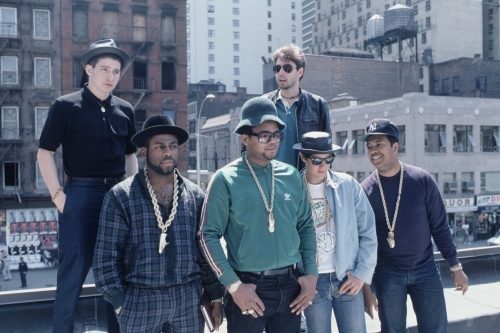 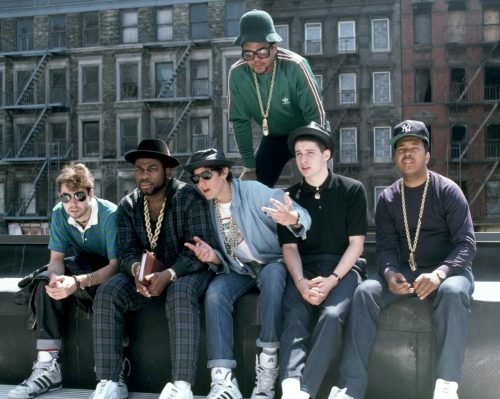 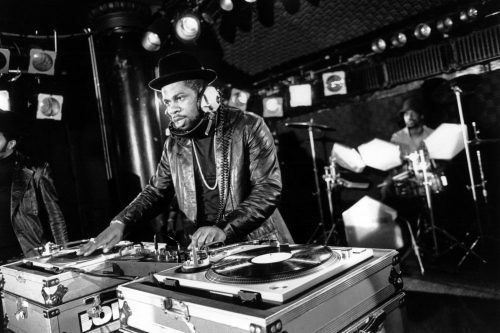 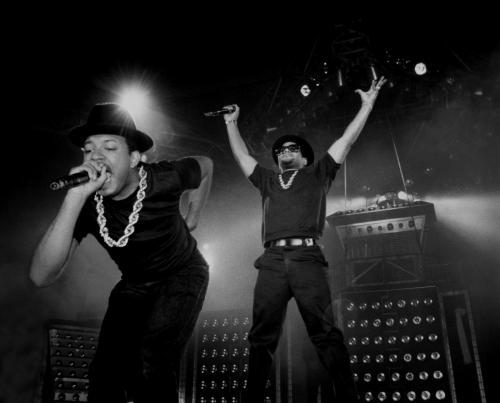 Their appearance as different as their sound: hats, gold chains and untied sneakers were the statement pieces that the rappers used to redefine men’s fashion. 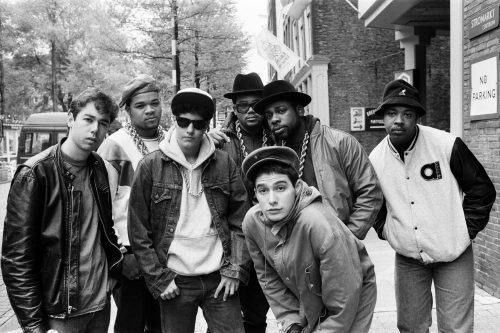 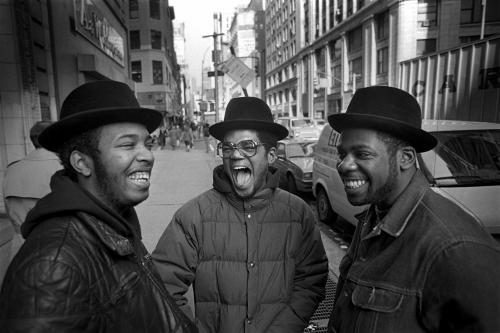 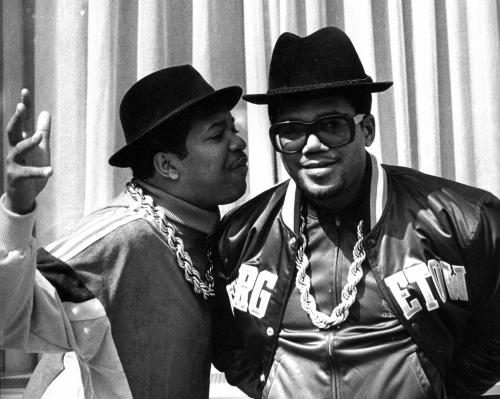 Over the next 25 years, Run D.M.C’s career featured world-class tours and chart topping albums However, it wasn’t just their music that kept them in the spotlight — they were confronted with lawsuits, addiction, illness, and finally the murder of Jason, a tragedy which disbanded the group forever. 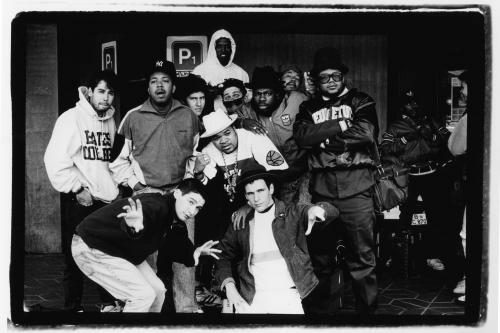 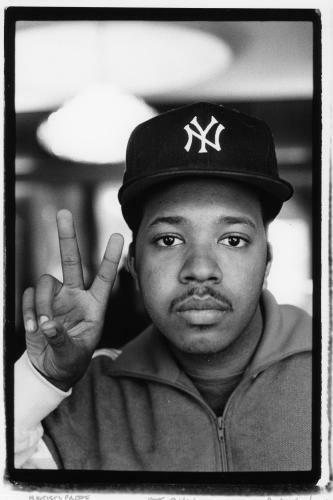 These pictures serve to highlight their immeasurable impact on music.